For the Past ten years, Washington Sorichung has spread the beauty of the Korean Culture within the Northern Virginia area through performances and programs centered on the heritage and history of Korea. As the special occasion of Washington Sorichung's 10th Year Anniversary is coming up, we are honored to have partnered up with the nationally acclaimed Gyeonggi Provincial Dance Company from Korea to showcase the biggest event of the year. The musical festival will be characterized by traditional performances from top musical Korean performers within Gyeonggi Provincial Dance Company and Washington Sorichung. 경기도립무용단은 우리 춤의 발전과, 경기도민의 문화예술을 재고하기 위해 1993년 창단된 경기도 대표 예술단체입니다. 정재, 전통, 창작무용 등 연간 100여회가 넘는 우수한 우리 춤 공연을 통해 많은 분들을 만나고 있으며, 그 동안 중동, 아시아, 북미(미국, 캐나다, 멕시코), 유럽(영국, 스페인, 이탈리아)등의 해외공연을 통해 ‘세계 속의 경기도’를 몸소 실천하고 있습니다. Established in 1993, the Gyeonggi Provincial Dance Company is representative of Korean Traditional Dance serves as a leader in the development and refinement of the art. 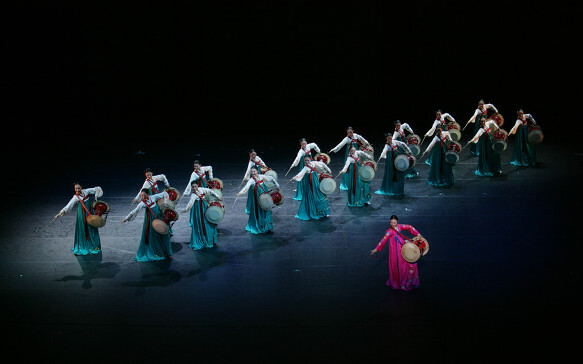 The organization is particularly noteworhty is the company's unique blend of traditional and modern Korean Dance. We have performed more than a hundred different types of Korean Traditional Dance, and we have traveled to many different countries (US, Canada, Mexico, Europe, Spain, Italy, and more) to spread our unique culture. Performance tickets will be sold in store at Soricha Tea & Theater or Washington Sorichung Korean Music Center. Call us at 703.642.0020/ 0026 or email us at soricha2015@gmail.com/ washingtonsorichung@gmail.com for further questions or inquiries! On behalf of Sorichung Enterprise LLC, Washington Sorichung is pleased to announce the 10th Year Anniversary Performance to be held on September 3rd, 2016 at George Mason University in Northern Virginia. The 10th Year Anniversary of Washington Sorichung showcases the success of the past ten years and will be celebrated through talented music and dance performances by traditional Korean artists, samulnori, pansori, and arirang performaces. This is truly an event of culture that will related to all ages and backgrounds. Our marketing and outreach campaign includes a very strong, interpersonal movement. We use local blogs and social media sites including Facebook and Youtube, as well as mailing list mass emails. As a truly collaborative event, the 10th Year Anniversary Performance is financed with sponsorships from area businesses, contributions from the community, donations, and ticket sales from the performance. Please join this mutually beneficial effort by becoming a sponsor today! 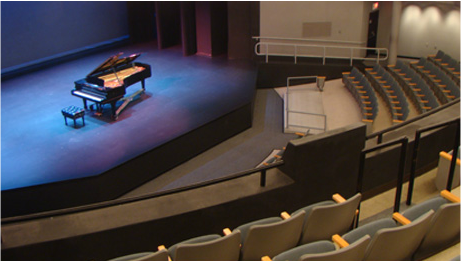 By sponsoring Washington Sorichung’s 10th Anniversary GMU Performance, you will get unlimited exposure to hundreds of residents throughout the Northern Virginia area, the mass student population at GMU, as well as the local Korean American community. Our sponsorship levels and benefits are presented in the enclosed package. We have chosen George Mason University as the primary location for significant exposure and impact. We invite and encourage you to become a sponsor of the Washington Sorichung 10th Anniversary GMU Performance. In order to ensure that your business receives the appropriate recognition and to meet our publicity and promotion deadline, we kindly ask that you respond no later than August 15th, 2016. Contact us at washingtonsorichung@gmail.com for any further inquiries. We look forward to receiving your valuable support, highlighting your business, and enhancing our community through your contribution!